It doesn’t take long to see we’re big fans of Rosetta Outcropping. Far from your average pre-cast concrete product, this stone has form and function. We get our Rosetta material right from the manufacturer in Gardiner, NY. Having the manufacturer in the next town over provides a couple key benefits. First, no time wasted on ordering, pick up, and delivery. Second (and more important!) it cuts delivery costs by a lot. That means savings for you. If your project requires a lot of material (and Outcropping projects usually do) it’s a really valuable resource. It also means a lot to us to keep our money in the community. 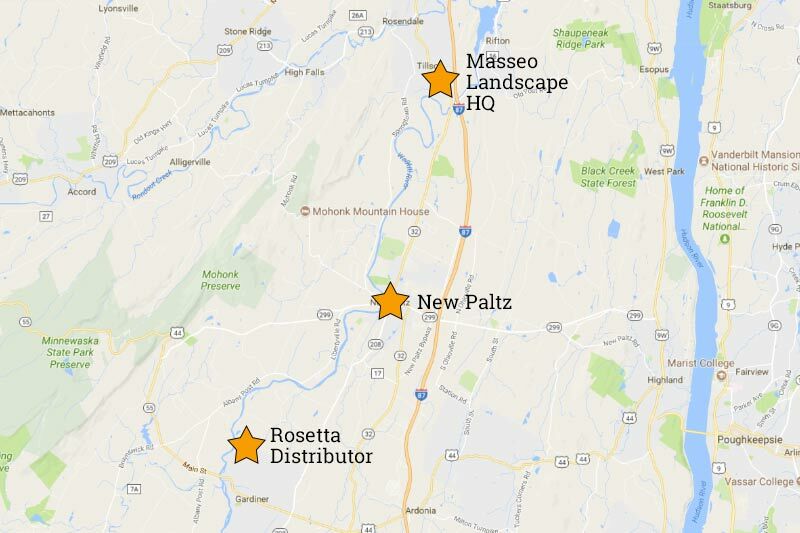 As a company started and owned by a born-and-raised New Paltz native, we believe in supporting our local economy. Aside from being made local, Rosetta Outcropping also just looks local. Despite being cast concrete, Outcropping is sometimes mistaken for stone right from the Shawangunks! The organic texture is great for a rustic style landscape. That organic texture makes it a great companion for natural stone hardscaping too. Whether you have a boulder wall or a blue stone patio, Outcropping blends right in. It also comes in a few color blends, so it’ll fit in any color palate. 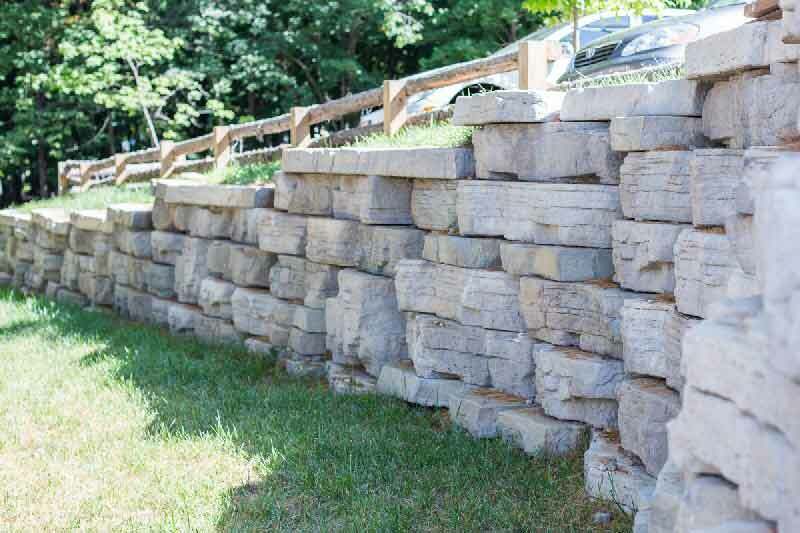 Retaining walls and structural walls have to be built to last. Outcropping is a great compromise between form and function. The actual blocks are large and that makes it great for large scale installations. It’s also easy to install to National Concrete Masonry Association standards. 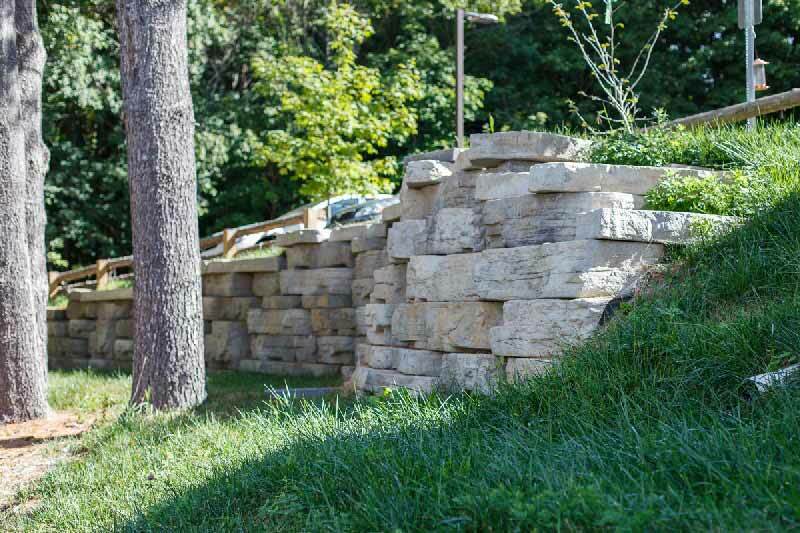 That’s the leading authority on segmental retaining wall construction. We’ve even used it on commercial properties. 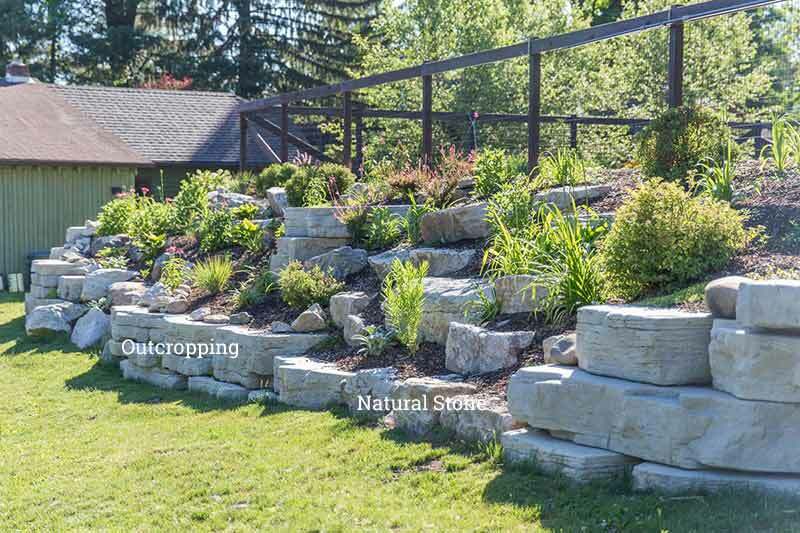 Outcropping is versatile! 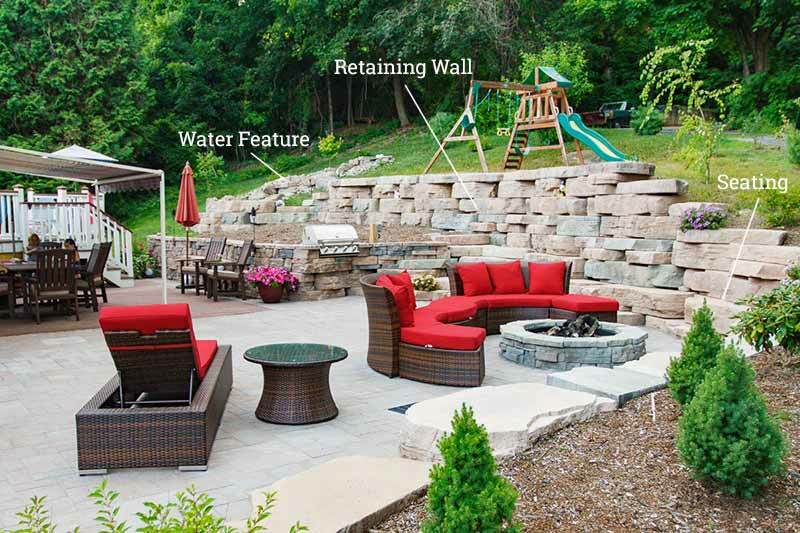 Retaining walls, built-in seating, water features, and decoration – you can use it for everything and anything. Want to learn more? Send us an email, or check out our Rosetta projects in our portfolio.